The thing with family is that no matter how many relatives or children – or even grandchildren! – you may have, it can get incredibly lonely if you are an elderly person. No thanks to the rush and hubbub of today’s modern life, everyone is swept up trying to keep up with work and life. It is just hard to feel loved and connected when you are so isolated! For this old man, however, it couldn’t possibly get any worse. 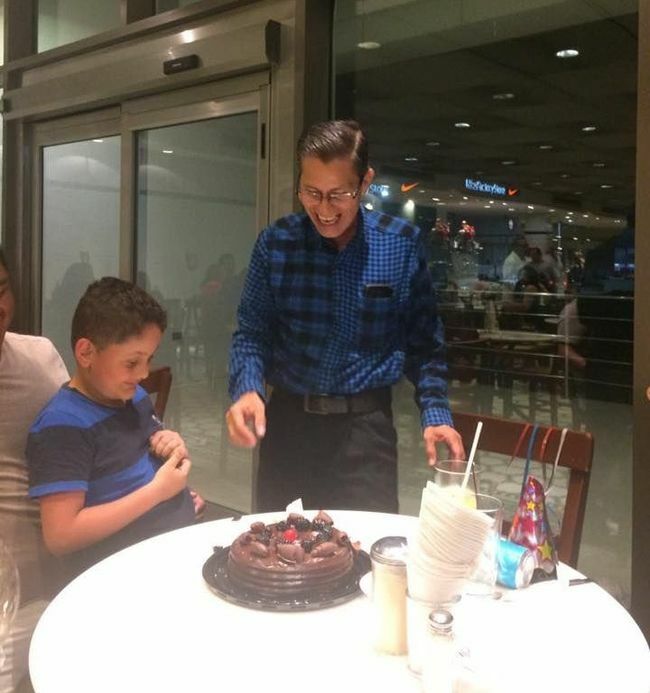 An elderly Mexican was celebrating his 61st birthday at a restaurant in the city of Boca del Rio, located on the east coast of Mexico in Veracruz. You would think that this would be a grant and joyous occasion, seeing the venue and the reason for the celebration. After all, all milestones should be celebrated. Alas, that clearly wasn’t the case for this poor gentleman. 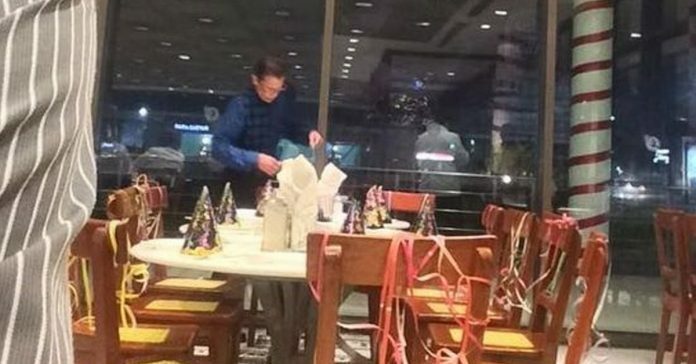 Restaurant goers watched in growing concern as this senior citizen came in by himself, and then proceeded to set up the decorations on his own. 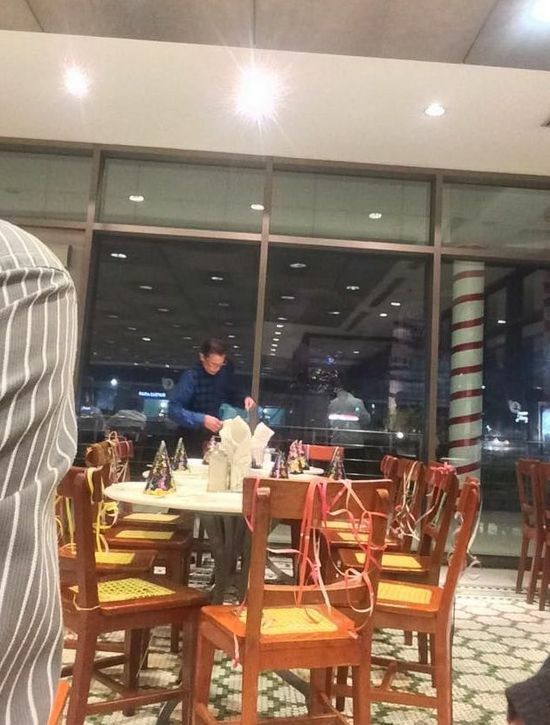 It was clear that this man was expecting a sizeable number for what appeared to be his own birthday party – several tables were decorated, beautiful streamers were laid out, and some cheery birthday hats were placed down. The question was obvious – where was the rest of this gentleman’s family? Surely he wasn’t expected to set this up all by his lonesome, especially for what appeared to be his own birthday party. Sadly, that seemed to be the case, as the old man ended up finishing the decorating by himself. He then seated himself at a table, looking as though he was expecting at least his children and his grandchildren, possibly even the rest of his family. Shortly afterwards, the elderly gentleman soon received a call. It was incredibly obvious as to what the call was about – any excitement in this man’s face vanished, replaced with utter sadness. It seems that out of the massive family this old man had been expecting, not a single person was going to show up. But there was some still some hope and fire yet in this old man’s heart. Mustering all the courage and grace that anyone would be jealous of, he then proceeded to make an announcement to the rest of the restaurant. He informed them of his circumstances, confirming everyone’s suspicions – no one in his family was coming to his 61st birthday. Then, he asked a heartbreaking favor of the patrons, requesting that they come and sit with him for a while to celebrate this occasion with him, should they wish too. He even threw in a request for a little birthday song. The response was overwhelming. The entire restaurant rose to its feet to accompany him, turning the whole party into one bursting full of merrymaking and joy. Every single person in the restaurant went over to wish him a wonderful birthday, and plenty more decided to take it upon themselves to make this the best birthday the old man could have. Not only did he get the birthday song he asked for, he got the party he was hoping for with loving strangers. Someone even got him a birthday cake!